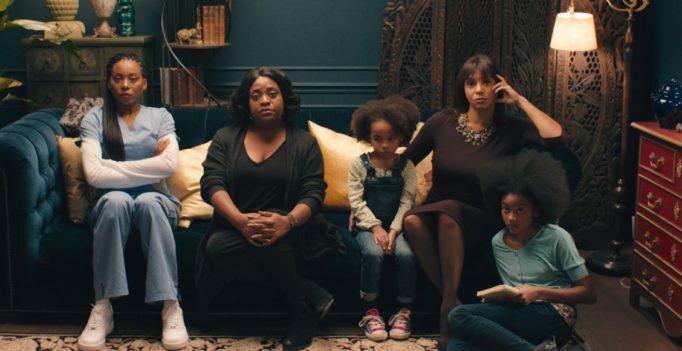 While Jean of the Joneses may be predictable, the film is the work of an exciting new voice in cinema. Writer/director Stella Meghie truly knows how to write fully developed, sympathetic characters; it’s an absolute pleasure to spend 82-minutes with her creations. Jean of the Joneses follows the dysfunctional Jones family as they go through an unusual family tragedy. After arriving to the door of the matriarch Jones’ house during a family get together, an old man collapses and dies. It is then revealed that the old man was the absent father of the Jones children whose identity had been the subject of secrets and lies told by their mother. As family issues become public knowledge, the women truly come to terms with their own personal problems. Meghie’s writing is absolutely the strongest element of the film, but great work from the ensemble cast shouldn’t be ignored. Breakout star Taylour Paige receives extra praise. As the eponymous character Jean, she manages to be sympathetically flawed while also standing in for the viewer laughing at the absurdities of her family. Did I mention Jean of the Joneses is hilarious? Sometimes morbidly so. One scene turns a woman’s grieving cries into one of the biggest laughs in the whole film. Along with the ever present jazz score which pervades every scene, Jean of the Joneses is a tightly packed and pleasing film. Stella Meghie will have a long career ahead of her.